Energy costs in Toronto and throughout Ontario have skyrocketed over the last few years. Frosted window film keeps interior temperatures more stable — which means lower air conditioner usage costs in the summer, lower heating system usage costs in the winter and lower operational expenses throughout the year. 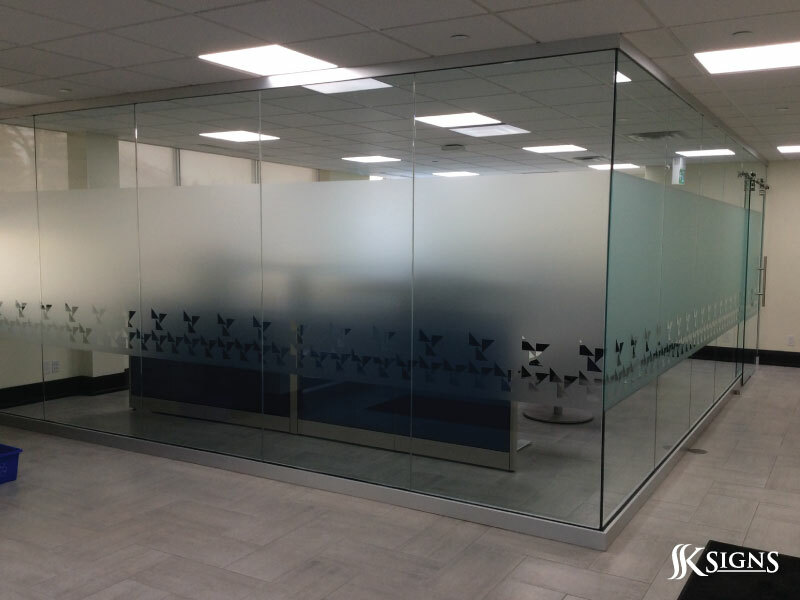 Frosted window film improves privacy and security by protecting windows and glass doors from forced entry. Different types of film are available depending on the level of privacy that’s desired. Another major reason why more property managers are installing window film in Toronto is that this is a low cost, high impact way to update and improve building aesthetics. What’s more, installation is rapid and does not require construction or permits, and can be done at a time that causes minimal or no disruption to workers and tenants. Stylish custom graphics and lettering can also be added, such the property management’s name, logo, and website address. Frosted window film helps shrink interior “hot spots” and “cold spots,” which means that existing tenants are happier, complain less, and are more likely to stay put vs. head to another location. Indeed, the costs of acquiring new tenants are high, and even in Toronto’s hot commercial real estate market, finding quality tenants that align with a property’s branding strategy can take several weeks or months. 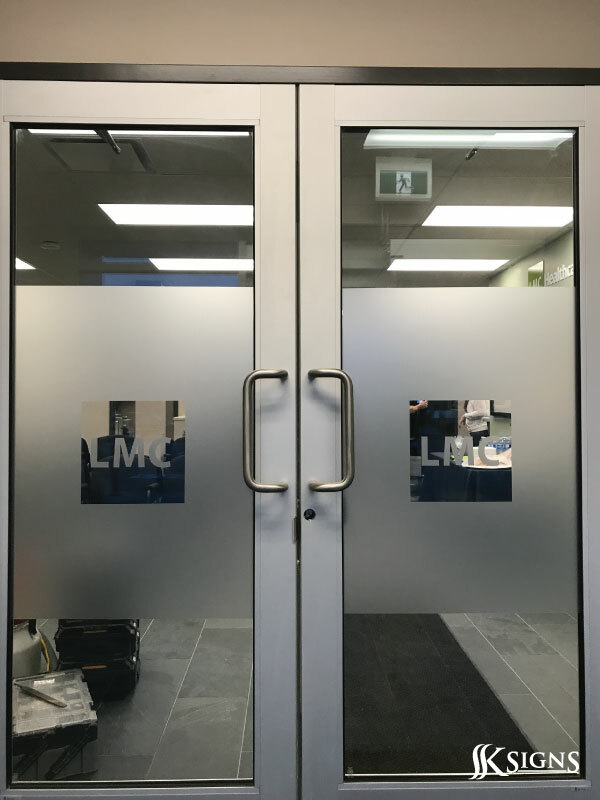 To learn more about frosted window film or vinyl graphics and lettering for your doors and windows, contact our team today by calling 905.282.2225 or emailing [email protected] Discover why property managers consider us to be a leader for frosted window film in Toronto!